When Bob Lutz rejoined General Motors in 2001, I wrote that he'd be worth billions to GM -- if Rick Wagoner could tolerate some "mistakes and the occasional insult to one corner or another of his company." And now the Lutz era is over at GM. GM's fine product lineup is Lutz's legacy. But in 2010, a post-bankruptcy GM has a darned fine product lineup -- great trucks, attractive crossovers, refined cars -- with luxurious interiors that would have been impossible pre-Lutz. The lineup is Lutz's legacy. 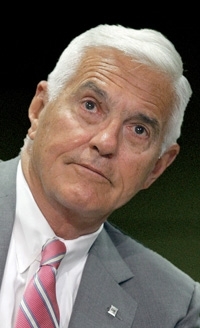 Bob Lutz is the most human, most open guy in the auto industry. As one of his former colleagues at Chrysler told me last week, Bob Lutz made it fun.